Stay connected to your baby with two-way audio, background audio, and remote viewing from anywhere.Get your baby more sleep with sleep tracking and personalized sleep guidance, and see how they improve over time.Best view of your baby day and night: See and hear your baby 24/7 with HD live streaming, unparalleled night vision, and zoom to get in close. 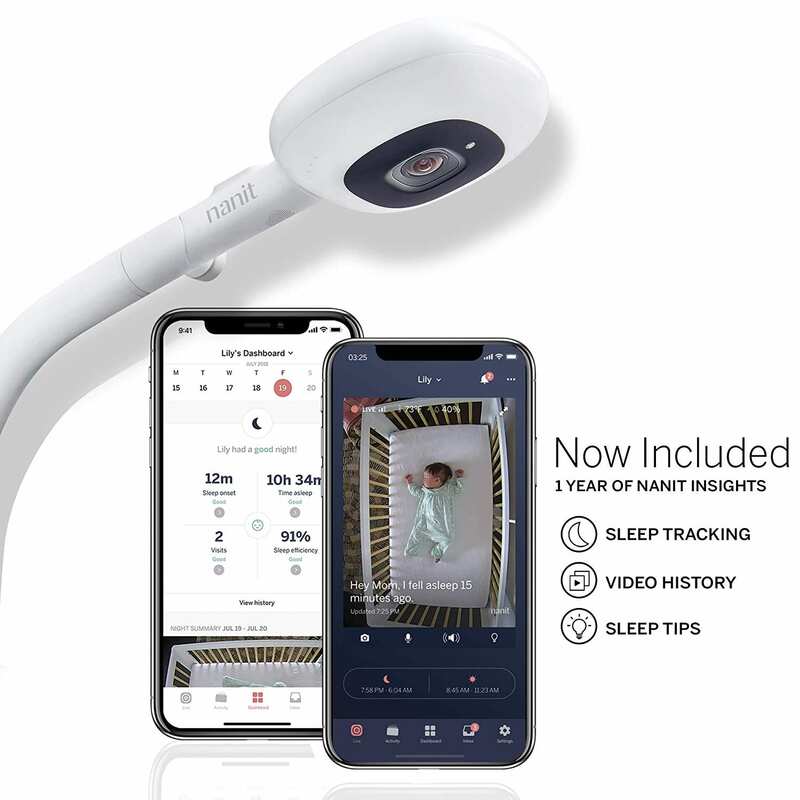 Plus, Nanit works over Wi-Fi, even when internet is down.Smart notifications: Nanit tracks sound and motion to keep you abreast of changes in the nursery. Temperature and humidity sensors monitor the environment, ensuring your baby is comfortable.iPhone, Android or tablet required. One year of Nanit Insights sleep tracking and personalized sleep guidance now included.